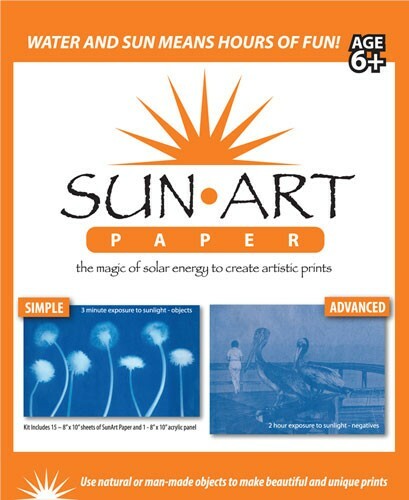 Use the magic of solar energy to create artistic prints with the SunArt Kit. 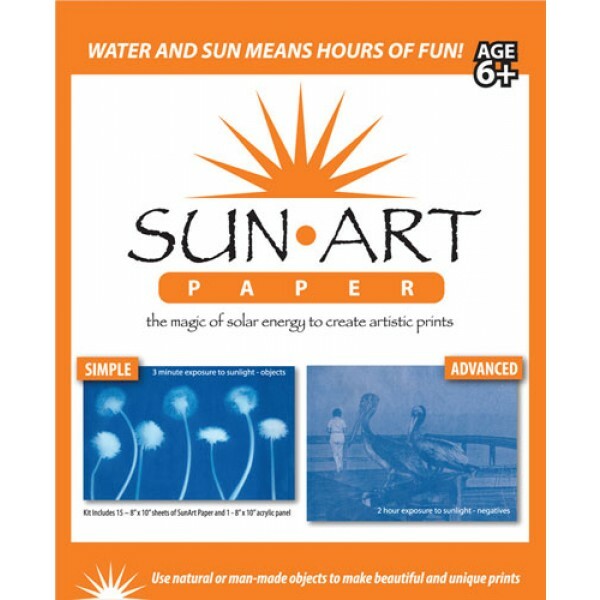 Encourage an interest in the photographic process through sun, water and imagination! To make a "Photogram" or a "Shadowprint", place any object (a fern, leaf, key etc.) on the SunArt paper and set it in the sun briefly. Then rinse the paper in water and watch as a beautiful long-lasting image appears. Each kit contains fifteen 8 by 10 inch UV sensitive coated paper sheets, one transparent acrylic sheet to hold lightweight objects in place during exposure, and acoplete set of instructions.